Sworn financial statements filed last year by Renata Ford, widow of former Toronto mayor Rob Ford, suggest she could be in significant financial trouble as she tries to force Ontario Premier Doug Ford to hand over funds from Rob's estate. The sister-in-law Doug Ford says he's "broken down brick walls to take care of" looks to be scrambling for cash to support herself and her kids and has taken out a high-interest second mortgage on her home, according to court and land records. 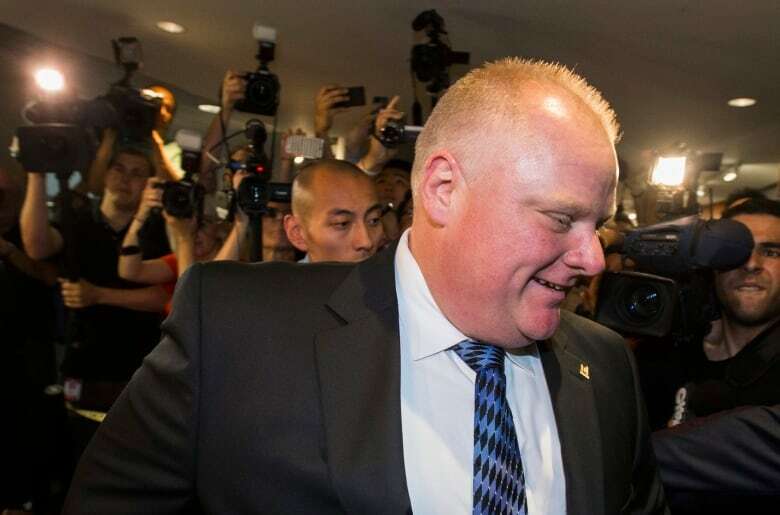 In sworn financial statements filed in family court last year as part of an estate proceeding, Renata Ford, widow of former Toronto mayor Rob Ford, said she was spending $91,960 annually on housing, transportation and other expenses for her and the couple's two children. That was against a pre-tax income of $50,660 — with only $28,237 in the bank. She recently took out a $195,000 second mortgage at a steep 12.5 per cent interest rate. "No earned income and ever increasing debt at unbelievably dizzying interest rates is actually a recipe for financial disaster," said Rona Birenbaum, a Toronto-based financial planner. The revelations about Renata Ford's finances provide context for the $16.5-million lawsuit she launched against Doug Ford last month over his handling of Rob's estate, and put to the test the newly installed Ontario premier's vow to "do anything" for her kids. "I've protected Renata in the toughest times ... for the last God knows how long, for 15 years. 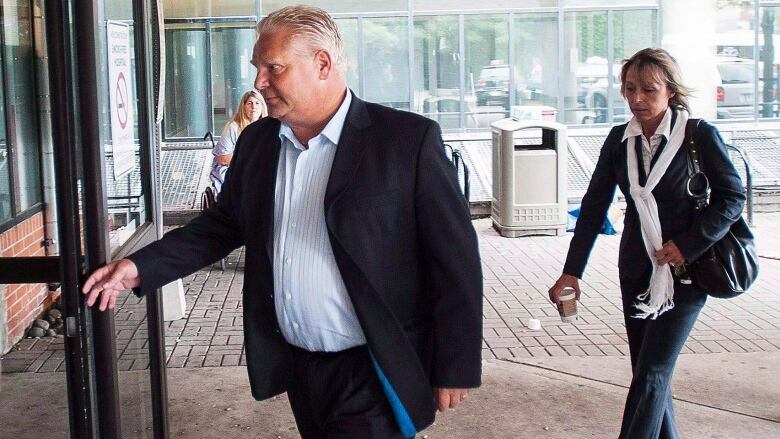 Fifteen years of taking care of her, both financially, personally, and I've bent over backwards, broken down brick walls to take care of Renata," Doug Ford said in the wake of the suit. "I have also stood by my brother and his family through so many of their challenging times, and will always be there for" their kids, he said. Renata Ford's financial statements from January 2017 listed monthly costs like groceries, clothing for her and the kids, $1,500 for housing and utilities, and miscellaneous expenses like vacations and children's activities — ultimately totalling $7,663 a month. Against that, she declared income of $3,083 a month from an RRSP and $1,066 from a pension. But those same financial statements showed there was only $3,580 left in her RRSP account. When Rob Ford passed away in March 2016, just $197,000 remained on the family home mortgage, according to Renata's financials. But since then, that debt has ballooned, with land records showing she upped her borrowing in February to $780,000 at an interest rate of 8.5 per cent. Then, just four weeks ago, she borrowed a further $195,000 against the house, getting a second mortgage at 12.5 per cent. "She doesn't have a lot of options at this point," said Birenbaum, CEO of financial planning firms Caring for Clients and Viviplan, after reviewing the documents obtained by CBC News. The sworn financial statements are from a family court case that Renata Ford launched in January 2017 — separate from her $16.5-million breach-of-trust claim against Doug Ford that she filed days before last month's Ontario election. That lawsuit alleges he has mishandled the entire Ford family fortune and failed to pay out Rob's estate, estimated to be worth at least $1.14 million. Doug Ford has said his sister-in-law's allegations are "false" and "without merit" and he has no idea why she is making them. Toronto estate lawyer Joseph Gyverson said the premier may have a totally valid reason for not yet having paid out assets from his late brother's will. He pointed out that Renata Ford's 2017 family court application, only recently abandoned, stated that "no distribution of the estate can be made by the executor" until the case was resolved. "It could entirely excuse Doug Ford's supposed failure to distribute assets in a timely manner," Gyverson said. There's also the thorny issue of Rob Ford's stake in the family printing company, Deco, which could provide a significant monetary boost for his wife and kids. "After the late Mr. Ford's estate is finalized, if it isn't finalized already, Mrs. Ford will likely receive an additional inheritance," financial planner Jason Heath said. But, Heath said, "private company shares are not as easy as public company shares to deal with as they don't trade on a stock market and their value is not as easy to determine." Lawyers for Renata Ford wouldn't comment on the state of her finances or her lawsuit against Ontario's premier. No one answered multiple calls to the phone number on a handmade "for sale" sign outside her house. Spokespeople for Doug Ford declined to answer questions about whether his sister-in-law's family is in financial trouble, and if so, what he's doing to help.